From a rocky ledge, this image from. 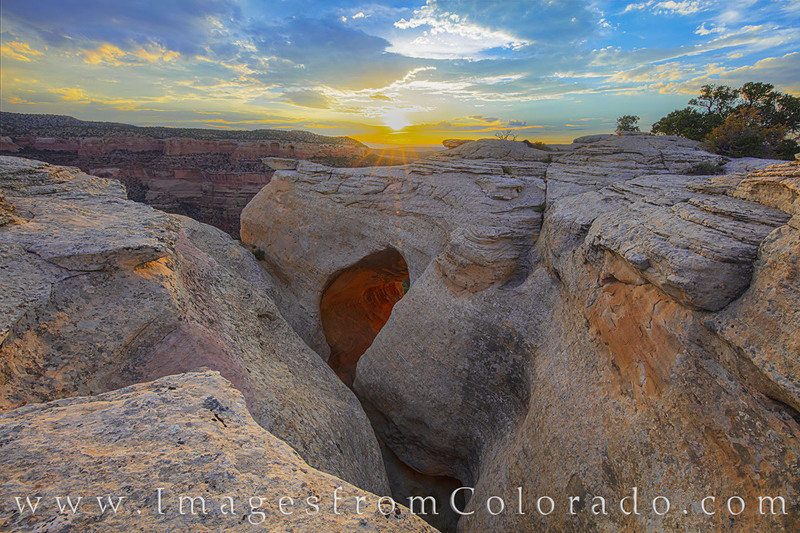 Rattlesnake Canyon in western Colorado shows what locals call “The Furnace” - a small arch that lights up when the sun sets and hits is just right. The sandstone inside the arch seems to glow orange only for a few moments, then fades as evening comes across the Colorado Plateau. This unique area is part of the McInnis Canyons area just west of Grand Junction and Colorado National Monument.